I think I just saw "The Design Guys"! Are you tired of stairs and ready for "main floor living"? This is it!! Extra large rancher to fit all your treasures! 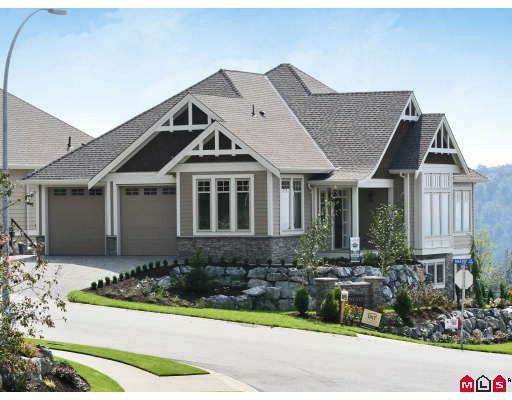 This custom designed home by DKT Homes Ltd. is located on top of the prestigious Highlands Development. Its extra large windows capture majestic views of the Valley and Vancouver Island! And if you didn't think its size was spacious enough - builder has gone with extra high ceilings. This main floor has a very open living concept. Gourmet kitchen boasts dark wood cabinets and granite countertops. Hardwood floors and granite countertops throughout this finely finished home. Bsmt is partly finished w/2 bdrms, rec rm & 4pce bathrm. Builder is incl. a blind & appl. package.